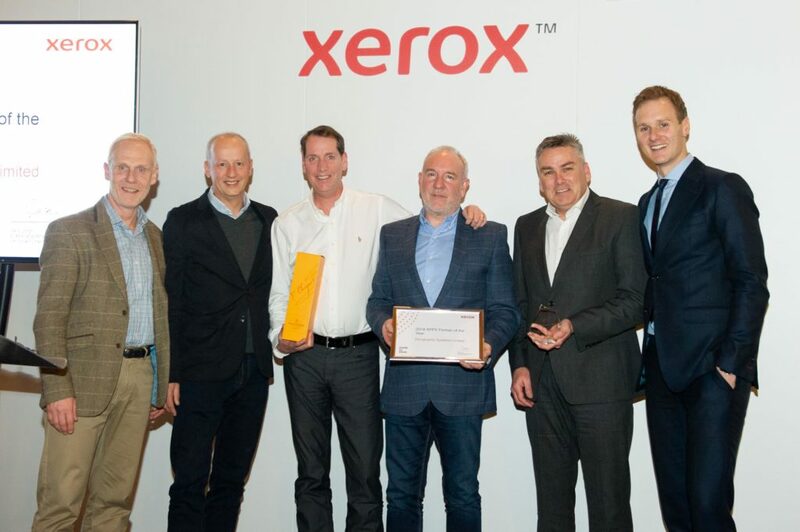 Zerographic have been awarded Xerox XPPS 2018 Partner of the Year. New Features to the New Xerox Iridesse Announced: white overlay colour and up to 1200mm sheet printing capabilities. Find Zerographic’s latest advert in the September Issue of the Print Solutions magazine, published by Earth Island. Available for you to read now. Xerox Iridesse Production Press and XMPie Circle PersonalEffect Edition Receive InterTech Technology Awards. Zerographic helps educate 3,500 students everyday through Managed Print Services and using Xerox Devices. Zerographic are taking bookings to demo the new Xerox® Iridesse™ Production Press – The Iridesse delivers more “wow” impact per printed page through digital specialty enhancements and Color FLX Technology – Contact Zerographic today to book a free demonstration. Zerographic are celebrating a key milestone of over 25 years relationship with Xerox.